Insiders take this as the government's endorsement of the hydrogen energy economy, believing it is high time that hydrogen, a clean source of fuel that does not result in the release of carbon dioxide, is on track to drive China's development while helping the nation's transition to a clean, low-carbon energy mix. China has been actively developing hydrogen energy in recent years to make the nation's automobile industry cleaner and more efficient. Many domestic companies have been actively pushing forward their hydrogen industry layout. 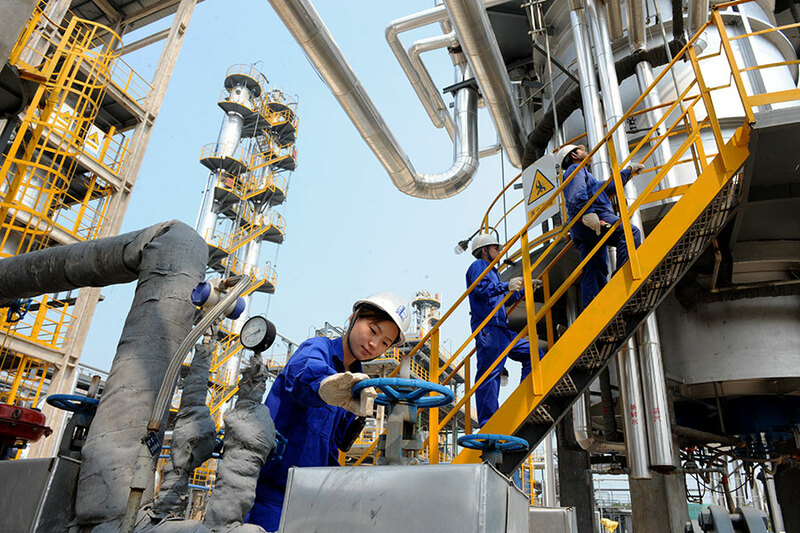 China Petroleum and Chemical Corp, or Sinopec, which has the largest number of gas stations in the country, has been focusing on the construction of hydrogen refueling stations for vehicles in recent years, taking advantage of its extensive network of gas stations nationwide and its chemical by-products. The world's largest refiner has also conducted research on hydrogen fuel cells. China Energy, which has the largest coal-to-hydrogen production capacity in China and initiated the China National Alliance of Hydrogen and Fuel Cell, has also been promoting low-cost hydrogen production, transportation and the establishment of industry standards covering hydrogen refueling stations. Domestic automobile companies are actively laying out their hydrogen fuel cell plans, expecting it to become a vital sector in the long term. Great Wall Motor Co Ltd, one of the country's largest sport utility vehicle and pickup manufacturers, is making hydrogen fuel cell electric vehicles a new focus for its business. 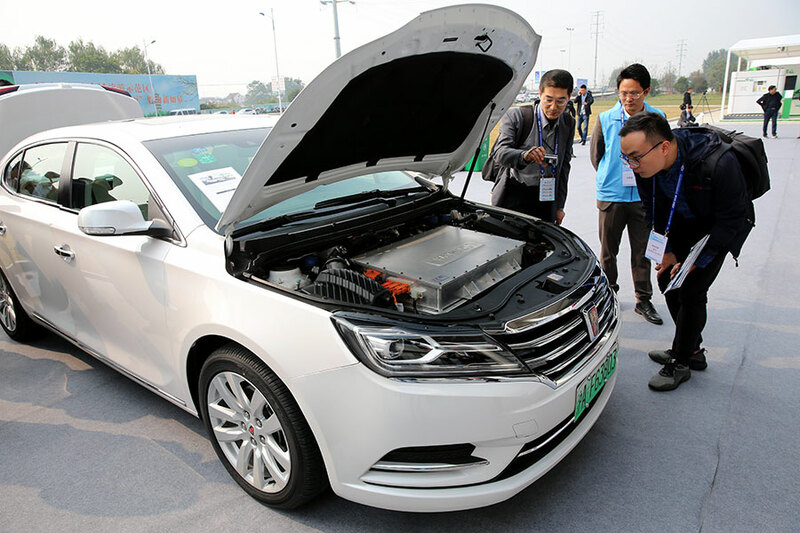 It has invested more than 1 billion yuan ($149 million) in research and development in hydrogen energy and fuel cell vehicles. Yin Tongyue, chairman of Chery Automobile Co Ltd and a deputy to the 13th National People's Congress, proposed at this year's two sessions the drafting of a national development strategy to promote the healthy development of the hydrogen energy industry. 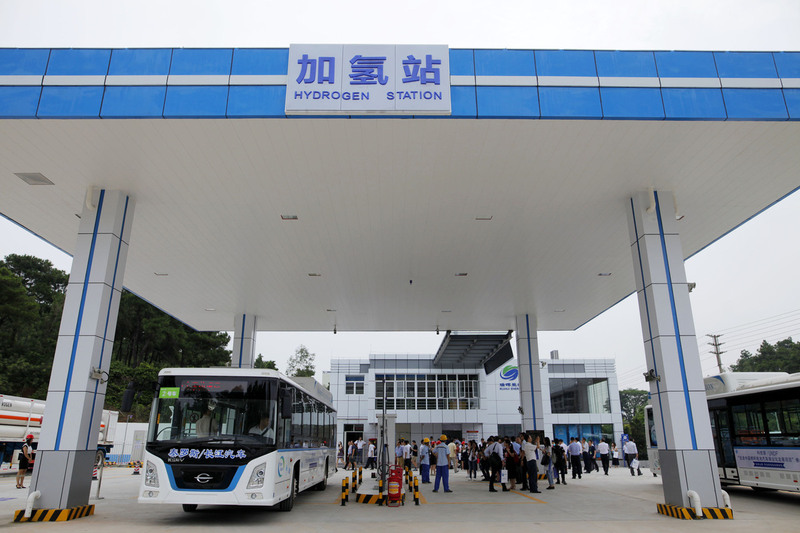 To further develop the hydrogen sector, many insiders from the chemical and automobile sectors have also urged the government to increase investment in areas such as the construction of hydrogen refueling stations to drive the development of the entire industrial chain. According to the Chinese government's development plan, the country will have 5,000 hydrogen energy vehicles on its roads by 2020, 50,000 by 2025 and 1 million by 2030. Wuhan, capital of Hubei province, announced plans last year to build a hydrogen energy industrial park in the city to provide a home for more than 100 automakers producing vehicles using hydrogen fuel cells and related businesses, while building up to 20 hydrogen fueling stations by 2020 to support the use of about 3,000 vehicles powered by hydrogen fuel cells. Zhangjiakou in Hebei province also said earlier it planned to build 16 hydrogen refueling stations by 2022. China had about 1,200 fuel cell vehicles on its roads and fewer than 20 hydrogen fueling stations at the end of 2017, ranking behind the United States, Japan, Germany and South Korea, according to the International Hydrogen Fuel Cell Association. The country has been investing heavily in new energy in recent years. According to a global trend in renewable energy investment report by the UN Environment Programme and Bloomberg New Energy Finance, China was the world's leading investor in renewable energy in 2017. Many insiders expressed optimism about the future of hydrogen fuel cell vehicles, which are believed to have long cruising ranges and can be refueled within three to five minutes. According to Li Jianqiu, deputy director of the department of automotive engineering at Tsinghua University, China has mastered the core technologies of the hydrogen fuel cell and produced more than 1,000 hydrogen fuel cell vehicles last year, the most made by any country in a single year. Despite a late start, China has made rapid progress in hydrogen energy development, he said. Han Xiaoping, chief information officer of China Energy Net Consulting, also regards hydrogen as a promising alternative fuel as China has become the world's largest producer and consumer of energy. Some analysts, however, also warn that companies should be rational while developing or investing in the hydrogen sector, and the government should come up with detailed plans and coordination to prevent companies from wasting time and resources. "The government has encouraged the development of hydrogen energy, but there are no specific policies to give the industry clear guidance," said Kou Nannan, a senior associate with Bloomberg New Energy Finance's advanced transport sector. According to the Revolutionary Innovation Plan on Energy Technology from 2016 to 2030 released by the National Development and Reform Commission, the development of hydrogen energy and fuel cell vehicles is considered as one of 15 tasks designed to facilitate the country's energy transition. However, no detailed plans or guidelines to coordinate and manage resources in the industry have been released. "While large sums of money have already been invested in developing electric vehicles, very little has been spent on hydrogen energy," said Kou. "Hydrogen vehicles, despite being more promising compared with electric vehicles, still lack a mature standard and are far from commercialization either in production, transportation or refueling, and development is not a matter of three or five years," he said. It's necessary that companies continuously conduct relative research instead of seizing a chance to seek private gain for national subsidies, like those in the initial stages of the solar and wind sectors, he said. Kou also suggested companies invest more in research to further boost the sector, as China is still lagging behind other countries with insufficient experts and researchers.